"It documents the nascent movement of designers acting on their own initiative to solve problematic urban situations, creating new opportunities and amenities for the public. Provisional, improvisational, guerrilla, unsolicited, tactical, temporary, informal, DIY, unplanned, participatory, opensource—these are just a few of the words that have been used to describe this growing body of work." These "images are recorded after countless hours exploring Black Rock City to keep traces of this profound urban experiment." 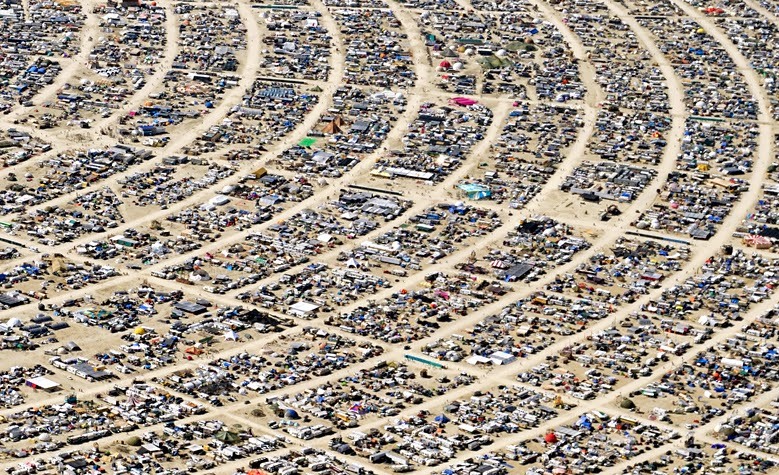 Particularly interesting is the "Leave No Trace, Self-reliance and Decommodification principles that condition the nature of this habitat and demand a new approach to urban planning and the viability of temporary dwellings." "In the scope of the exhibition, six interdisciplinary teams of researchers and practitioners were brought together to examine new architectural possibilities for six megacities: Hong Kong, Istanbul, Lagos, Mumbai, New York City, and Rio de Janeiro. 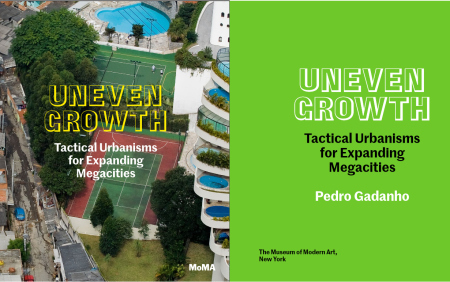 Challenging assumed relationships between formal and informal, bottom-up and top-down urban development, the resulting design scenarios, developed over a 14-month initiative, consider how emergent forms of tactical urbanism can respond to alterations in the nature of public space, housing, mobility, the environment, and other major issues of near-future urbanization." Presented at the UN in the context of the United Nations Academic Impact initiative and UN-HABITAT, 2012. 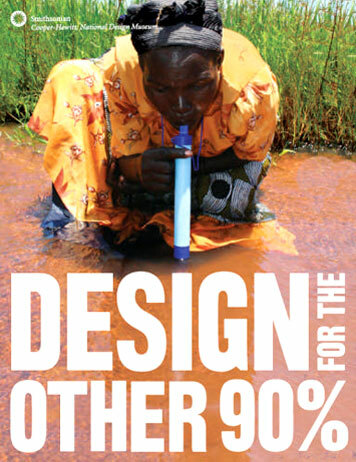 "Design with the Other 90%: Cities... looks at some of the myriad challenges created by accelerated urban growth and presents design solutions that address the consequences. Exploring the multidisciplinary, overlapping relationships between urban planning and design, education, social entrepreneurship, climate change, sanitation and water, migration, public health and affordable housing in these communities, Design with the Other 90%: Cities looks at the efforts of international and locally based organizations, designers and communities collaborating with settlement residents to give them a chance at a more prosperous life. "The beauty of primitive architecture has often been dismissed as accidental, but today we recognize in it an art form that has resulted from human intelligence applied to uniquely human modes of life. Indeed, Rudofsky sees the philosophy and practical knowledge of the untutored builders as untapped sources of inspiration for industrial man trapped in his chaotic cities." Translated: "The exhibition and publication Remittance Architecture" is the work of an interdisciplinary team, which during 2009 and 2010, documented and examined the influence of economic and social remittances in the architecture, the family and the community of three countries: Guatemala, El Salvador and Honduras. it works to establish a dialogue between the social sciences -- specially anthropology -- and architecture, with the valuable assistance and support of the visual arts." "1973: Sorry, Out of Gas captures the architectural innovation spurred by the 1973 oil crisis, when the value of oil increased exponentially and triggered economic, political, and social upheaval across the world. Featuring over 350 objects including architectural drawings, photographs, books and pamphlets, archival television footage, and historical artefacts, it maps the global response to the shortage and its relevance to architecture today." 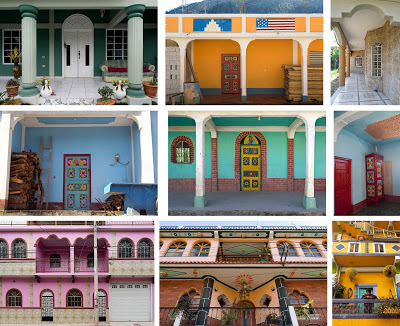 "Small Scale, Big Change: New Architectures of Social Engagement presents eleven projects on five continents that respond to localized needs in underserved communities. These works reveal an exciting shift in the longstanding dialogue between architecture and society, in which the architect’s methods and approaches are being dramatically reevaluated. These undertakings not only offer practical solutions to known needs but put forth a reconsideration of the role of the architect in the twenty-first century." "Actions: What You Can Do with the City gathers actions that reinvent our daily lives and reoccupy urban space with new uses. We concentrate on walking, playing, recycling, and gardening. Walking means re-establishing social relationships. Gardening, as a new form of production, means caring for the urban ground. Recycling means thinking about our society’s waste.... The goal is finding within these actions the tools for introducing new priorities into society." 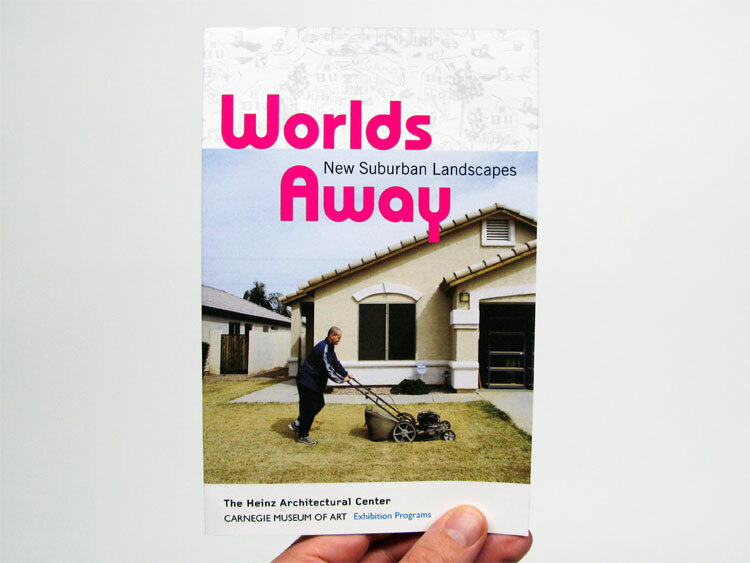 "The intention of Worlds Away: New Suburban Landscapes is to demonstrate how the American suburb has played a catalytic role in the creation of new art. Challenging preconceived ideas and expectations about suburbia (either pro or con), the exhibition hopes to impart a better understanding of how those ideas were formed and how they are challenged by contemporary realities." "MoMA and P.S.1 Contemporary Art Center joined forces to address one of the most urgent challenges facing the nation’s largest city: sea-level rise resulting from global climate change. Though the national debate on infrastructure is currently focused on “shovel-ready” projects that will stimulate the economy, we now have an important opportunity to foster new research and fresh thinking about the use of New York City's harbor and coastline." "The exhibition ISLANDS+GHETTOS would like to draw attention to the strategies of territorial isolation and social seclusion in 21st century cities. 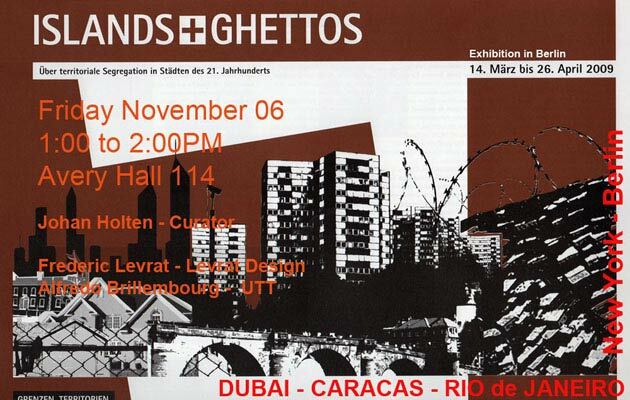 In this context, Dubai and Caracas with their interchanging areas of poverty and wealth are exemplary for the tendencies of urban segregation. The group show, gathering 34 artists and 24 works, aims to point out that polarization, urban demarcations and partitions increasingly also are becoming relevant for European cities, likewise for Berlin." "In 1955 The Museum of Modern Art staged Latin American Architecture since 1945, a landmark survey of modern architecture in Latin America. On the 60th anniversary of that important show, the Museum returns to the region to offer a complex overview of the positions, debates, and architectural creativity from Mexico and Cuba to the Southern Cone between 1955 and the early 1980s." "The works in this exhibition target colonialism, imperialism, urban neglect, and cultural hegemony with a vast array of weapons, including irreverence and humor. The artists confront the status quo with a wide range of disarming conceptual strategies and aesthetic detonators." 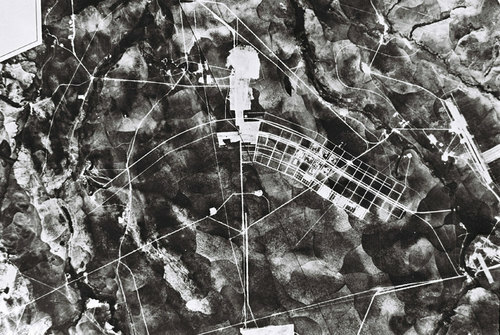 "The exhibition is based on project work carried out over a number of years by a network of architects, urban planners and scholars on the international platform ‘Archis Interventions’, as a response to specific post-conflict situations in war zones and to provide support through active intervention in the rebuilding of cities as a means to ensure peace." 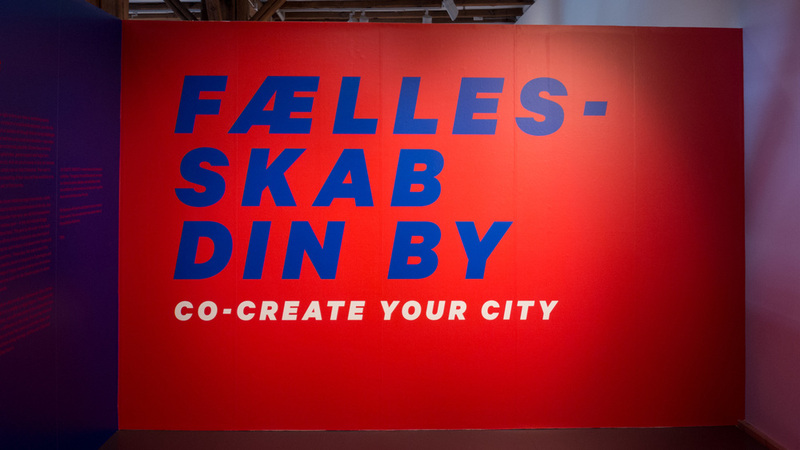 "An exhibition about the people, the initiative, and the commitment that change the city. Architects and city planners don’t create our cities. Neither do politicians or big companies. Actually, we as citizens have big influence on how we use and live in the cities." The main exhibition at DogA investigates a broad variety of building projects that claim to be sustainable. Rather than starting from a preconceived assumption of what is to be considered sustainable and then trying to find good examples to illustrate the point, the curators Rotor choose to document what is being called sustainable by others … the collection of physical and digital objects displays how architects deal with sustainability."